For 10 years National CASA received $12 million in funding for the CASA program through the Victims of Child Abuse Act. Last year Congress reduced the funding for CASA programs to $4.5 million. And now, the Administration has proposed eliminating all funding for this vital program in FY 2013. Immediately use Email, Facebook and Twitter to pass this alert along to your network of friends and colleagues. Immediately contact your senators and US House of Representatives and send them the message below. Enter your zip code (only) and click on the “Contact Forms” and it will link you directly to a from to submit your message. It is imperative that we act quickly. If you have any questions, contact: staff@CASAforChildren.org. Atlantic City resident and CASA Volunteer Jean Harris was awarded CASA of New Jersey’s Volunteer of the Year Award last week at their Night For New Jersey’s Children event. For the past 20 plus years, Jean Harris has advocated for over 50 children, whom she helped find safe, permanent homes. The impact this has had, not only on the children’s lives, but on the lives of their families and the community as a whole, cannot be measured in words. 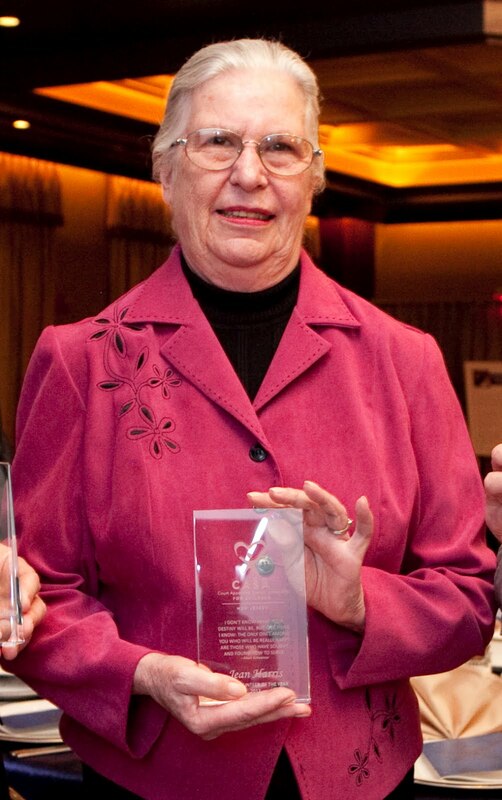 In all of her years of service, Jean has advocated for three different New Jersey CASA programs. Currently, she advocates in Atlantic County, after having done so in both Morris and Ocean Counties. Jean not only serves as an advocate for children, but also as a Mentor Advocate and a member of the Program Impact Committee. Jean helps facilitate CASA 101 Training to teach potential volunteers abut writing a comprehensive, fact-based CASA court report. She also is a recipient of the Presidential Service Award for donating over 1,000 volunteer service hours. Jean has been recognized many times by professional and social service organizations for her service on behalf of abused and neglected children. In honor of her outstanding service, Jean was presented with an Award of Distinction in Ocean County in 1999 and 2001. Community stakeholders routinely comment on Jean’s impact as a CASA Volunteer, commenting on her professionalism, fairness in judgment, honesty, compassion and unwavering advocacy for the children she serves. Several Judges have also remarked on the thoroughness of Jean’s reports and her thoughtful and relevant recommendations. She is universally respected by all the individuals with whom she comes in contact.